Detroit based Alternative Hard Rock Band HARLOW has released the Official Music Video for their Independently released new single, “My Life.My Curse”. Directed by Dylan Sides (Tenside Films), “My Life.My Curse” is available to download on iTunes. Power, Ferocity, strength and beauty… These are some of the words that come to mind when you witness and hear this emerging powerhouse of music for the first time. Delivering a sound that shapes a mixture of Rock, Pop, Punk influences while supporting lead singer Lauren Harlow’s powerful and dynamic vocal prowess, you cannot help but make comparisons to Pat Benetar, Debbie Harry, Joan Jett, and Pink. Relatively new to the musical world, Harlow has been tearing up each and every stage that presents itself to them as they throw down the flag that says there is a new player in the game. Formed in late 2013, every member of Harlow hails from the greater Detroit area and alongside Lauren, Joe Allen, Kevin Razlog, and Kelly Weaver have spent years making a name for themselves in other groups in the local Detroit scene. As Harlow came together they knew that something special was going on and they wasted no time to get the momentum rolling. Acclaimed as a Super Group of local talent by some, these four have shrugged off this label and have spent most of 2014 not only representing Detroit but spreading out to the Midwest and venturing new areas in the east of the US to larger and larger crowds. 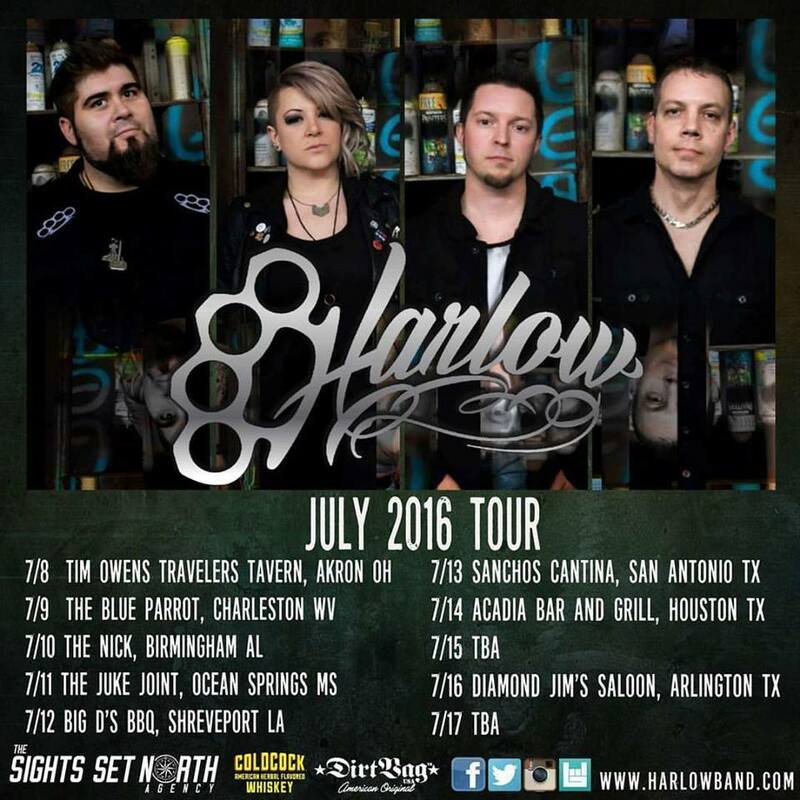 With the recent release of a self-titled HARLOW EP and the pending release of their first full length Album Shattered the band is gearing up for more shows across the US and showing everyone who and what they are made of. With the exit of Joe Allen in 2015 and the entrance of Tomas Lopez, Harlow has taken great strides toward the next level.Harlow is the next bombshell on modern music and strives to make music that will connect with all ages, creeds and provide people with music to be a fan of again. ALTER BRIDGE Release Music Video For “Show Me A Leader” From THE LAST HERO!